Opatija, located near the Croatian city of Rijeka, has a rich history and offers many sightseeing opportunities. 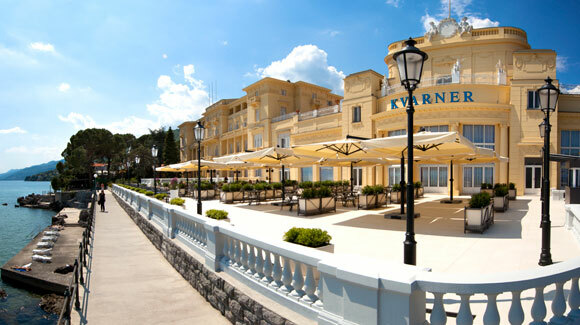 Hotel Quarnero, today Hotel Kvarner, was built in 1884 and was the first hotel along the Adriatic Coast. The roots of tourism began then and continue to flourish today. A walk through the city will enable you to see numerous monuments celebrating the Opatija's splendid past. Villa Angiolina, Saint Jacob's church, the Open Air Summer Theater, the Helios and Selena fountain and the Croatian Walk of Fame are just some of the landmarks worth visiting. Visit nearby Rijeka, one the largest cities in Croatia, for additional sights and attractions.